On Sunday, Tiger Woods did what some deemed impossible by winning the 2019 Masters, ending an 11-year major-championship drought. It was Woods' 15th major championship, but his first since winning the U.S. Open in 2008. Videos of Woods as a child prove that the 14-time major champion has been defying the odds since his childhood. 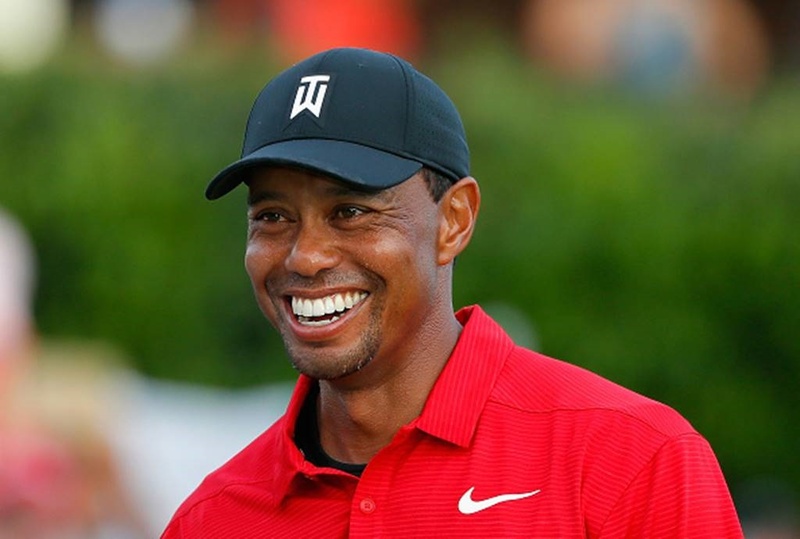 Woods was featured on national television multiple times throughout his childhood and early teenage years, putting his golf prowess and maturity on full display. Tiger Woods did what some deemed impossible, ending an 11-year major-championship drought to win the 2019 Masters at August National Golf Club on Sunday afternoon. But videos of Woods golfing as a child prove that the 14-time major champion has been defying the odds since his childhood. Woods first stepped into the national spotlight at just two years old. He and his father, Earl Woods, appeared on "The Mike Douglas Show" in October 1978. The young golfer was a prodigy, teeing off to the delight of Douglas and fellow guests Jimmy Stewart and Bob Hope. Hope even challenged the toddler to a putting competition and quipped "You got any money?" 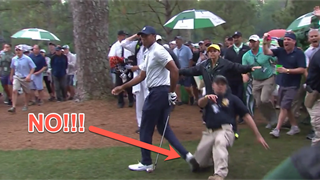 Woods missed his first shot and was given a mulligan. The audience went wild when he then picked up the ball with his hands and placed it closer to the hole. "It's not too often when someone gets to one-up him, and I got him by moving the ball up closer to the hole," Woods later said. "I got him pretty good. I'm certainly no comedian, but as everyone knows I can be a little bit of a smart aleck at times." Roughly three years later, Woods was featured on "That's Incredible!," a television show that takes "a look at the more unusual sides of nature, medicine and human endeavor." Host Fran Tarkenton introduces Woods as "an accomplished golfer [who] wins tournaments on a regular basis and has shot close to par on 18-hole courses." This video shows Woods playing in a tournament as the youngest contestant in the history of the competition. Earl Woods recounts his son's first tournament, in which he competed in the 10-and-under age category and won at just three years old. "Some of the things he does you would see in some of the finest players in the world," golf pro Rudy Durand said in the video. "You'd have a hard time beating him around the greens, no matter who you are." That same year, Bryant Gumbel interviewed Woods and his family on "Today." When asked what he wanted Santa to bring him for Christmas, the five-year-old smirked and said: "How about a 1-iron and a 2-iron?" In November 1990, Trans World Sport spoke to Woods about his budding career in professional golf. By then "there was a huge sense of excitement" surrounding the 14-year-old, who "was known to many in U.S. golfing circles" after having won five IMG Academy Junior World Championship titles. At 1,7 metres Woods could already drive the ball over 274 metres. 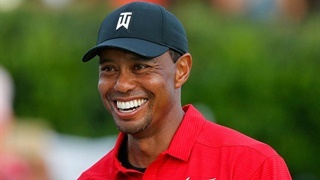 "Every time I go to a major country club, I always feel it," Woods said. "You can always sense it. People always staring at you, 'What are you doing here? You shouldn't be here.' When I go to Texas or Florida, you always feel it because they say, 'Why are you here? You're not supposed to be here.'" "Since I'm black it might be even bigger than Jack Nicklaus," Woods said. "I might be even bigger than him, to the blacks. I might be sort of like a Michael Jordan in basketball. Something like that."